An entire year in esports is a long time, especially when it comes to CS:GO. A typical allotted season is around three months, so teams being dominant for more than that is fairly rare. That said, it happened during the summer. The first in a two-part recap of the year – welcome to 2016, where Counter-Strike dynasties both rose and fell. The end of 2015 saw Fnatic as the ever-dominant force in CS:GO, and it looked like this would continue on into the new year too. 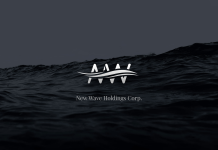 They picked up the first large event in 2016 fairly easily, minus the awkward interaction with EnVyUs in their group at the Starladder StarSeries XIV finals. This saw them claim the $90,000 top prize from the event, appearing to throw down their legacy for the rest of the year. DreamHack Leipzig was next, as Natus Vincere and Luminosity Gaming kicked off their rivalry, with the CIS side starting the tally off winning the tournament against the Brazilians, the second time they met in the tournament after Na`Vi beat them in their group match. The rest of the month saw the kick off of the first ever Minor Championship events, the new way for teams to get to the Major. The first of these was the Americas tournament at which teams pulled out and were mostly replaced for a variety of reasons. The winner of this, Enemy.gg, qualified for the main Major Qualifier event for MLG Columbus at the end of February. The other Minors saw HellRaisers win in Europe, Gambit in the CIS region and The MongolZ win in Asia during IEM Taipei – an event surrounded by the controversy over TyLoo’s disqualification due to a VAC Banned player. In terms of organisations, Titan saw themselves collapse due to reported financial difficulties leaving their French roster homeless the day before the StarSeries tournament. In Denmark, Astralis became the first player-owned organisation in CS:GO as the best-Danish team banded together to become the masters of their own fate. The start of the month saw Team EnVyUs pick up $80,000 over Team Dignitas in Game Show’s Global eSports Cup. 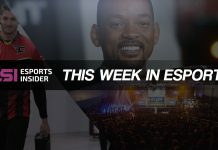 The month also kicked off the third season of the Pro League partnership of ESL and ESEA, a league which was at this point renamed to the ESL Pro League after the former picked up the latter. 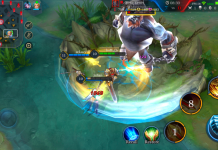 The online league boasted $120,000 for just the online portion, with another $512,000 for the teams that made it to the offline finals – which were to be hosted in the Indigo at the O2 Arena in May. ESL didn’t stop there though, as they brought themselves to the Mobile World Congress for the ESL Expo Barcelona. This was a unique tournament in which teams were knocked out based on how many lives they had. It also brought two Spanish teams to the fore, where three of gBots eventually went onto stronger pro teams later in the year. Fnatic, once again, won this tournament only dropping a single map in the process. We left February behind with Fnatic still the top team in the world (according to HLTV.org) and they kept this going throughout the month of March. IEM took place early on in the month in Katowice, featuring the cream of the crop of global CS:GO. Luminosity and Na`Vi were thrown into the same group and it was Luminosity that came up trumps this time. Because The MongolZ won IEM Taipei in February they received the Asian berth for the tournament only to get bodied in groups. The Brazilian squad in Tempo Storm found their way to their first big international tournament and performed fairly well, finishing second in their group, before getting knocked out in a close match by Na`Vi in the Quarter-Finals. This then led Na`Vi to play LG for the second time in the tournament, which LG won. LG then faced Fnatic in the final which saw Fnatic win their sixth tournament in a row, in a run stretching back to the end of November. March was finished with the first Major of the year – MLG Columbus. As everything is bigger and better in America, it was also fitting that this was the first Major that featured a $1 million prize purse. Many expected that Fnatic would keep their tournament run going and pick up the major they missed out on in Cluj-Napoca. This didn’t happen. After a close game against Team Liquid, Fnatic finished second in their group appearing to start the fall that they felt in the Major preceding it. Luminosity would then go on to win their first Major event against Na`Vi in the finals, taking it 2-0 and winning $500,000. It was also the first time a Major winning team failed to leave groups, as EnVyUs dropped out of the tournament losing to CLG and Gambit Gaming. This saw the French side go from Major Champions, to out in last place. Ouch. 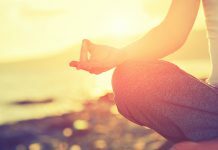 In April the news broke that olofmeister from Fnatic and Guardian from Na`Vi both had wrist injuries, so were sitting out from events and resting. Fnatic also lost their number one placing from HLTV, being replaced by Na`Vi on the 18th. April then started out in force. ECS, the FACEIT and Twitch backed league, kicked off in Europe and North America… with Na`Vi then withdrawing a few days later. DreamHack Masters stopped off in Malmo, with NiP taking the tournament over Na`Vi in the final with Guardian returning to service in the play-offs having been cleared by the doctors. The month also saw GODSENT form, as the Swedish squad led by pronax became the second team to lead their own fate in CS:GO. TyLoo also started to break onto the international scene at this event, finishing second in their group behind mousesports and then getting knocked out in the quarter-finals by Na`Vi. Not a bad showing for their first big event. The end of April saw the first of three international CS:GO events hit the UK, specifically London, with the CEVO Gfinity Pro-League finals coming to town. This event was marred by the fact it was so close to the qualifier dates, and teams also pulled out. Virtus.Pro was, arguably, the biggest name team at the event. Their name didn’t mean invincibility though and they were afforded a shock in the groups by losing to HellRaisers. 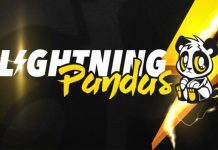 The Quarter-Finals didn’t work for them either, as they lost out in a back and forth Best of Five series against Brazilian upstarts Tempo Storm. Group B saw the Danes of SK Gaming battle against Tempo Storm, as well as seeing Pimp get sweet revenge on his former team mates in Dignitas. The final saw the two from Group B face up against each other, but it was for the Brazilians to take it 3-1 in the end. May was busy. Kicking itself off in Austin with DreamHack, it was an all-American affair. With the teams coming from across the Americas, with Luminosity and Tempo Storm being the South American representatives, the Brazilians mowed through their groups. The semis saw LG make quick work of Liquid, but Tempo Storm got slightly stuck against Cloud 9. The two teams met in the final, at which LG kept the crown of best Brazilian side. 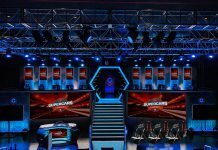 The Starladder i-League invitational also took place this month, with European and CIS teams ripping up a football stadium in Kiev. There was supposed to be representation from Luminosity Gaming and TyLoo, but due to scheduling and visa issues they didn’t attend. This saw Virtus.Pro beat Na`Vi to claim themselves a title. ESL saw its third season of Pro League finish up in London. The tournament saw Astralis under-perform in their group and the beginning of Liquid’s struggle post-s1mple. It’s also notable as the second-best French side, G2 Esports, performed exceptionally well. Topping their group, which featured LG in, and then going on to beat Fnatic in the Semi-Finals. LG battled back from their second placing finish, taking out NiP to get to the final, meeting G2 again. This final was a close affair, going to all five maps with the last map decided in overtime – but it was LG that took it against the French side. They were starting to make a strong run to be the best in the world. ELEAGUE also kicked off its inaugural season in May. 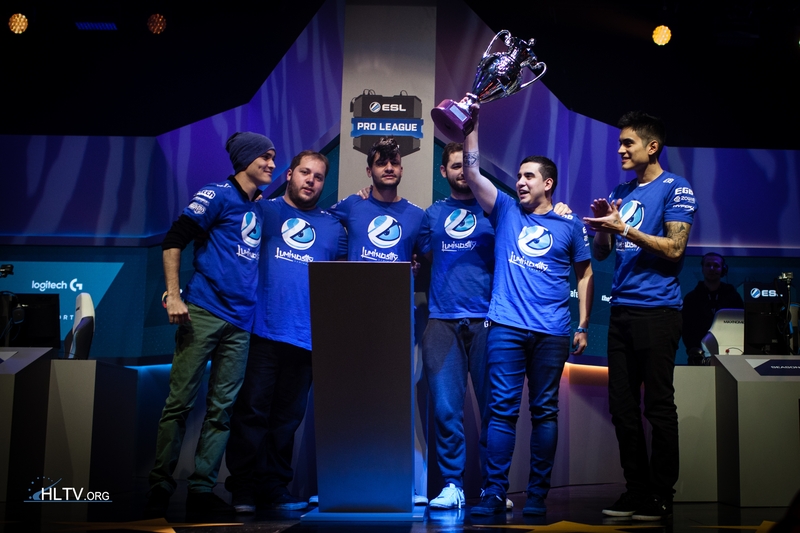 The televised league saw its first group take place during the month, with Luminosity winning it. This’ll be the final month I’ll cover in this part, mostly due to how crowded the remainder of the year is. The start of the month saw Tempo Storm signed by Immortals. Towards the end of May, a storm was brewing between Luminosity and SK Gaming, as the German-based organisation had signed the Brazilian roster for when their contract ended. This then led to contract issues, as the players had signed Letters of Intent to stay with the US organisation for at least another two years. This was sorted in June, with the players confirmed to move to SK at the end of the month. This meant that the ECS Season One finals would be the last tournament they competed under the Luminosity brand. The next tournament to take place were the next three ELEAGUE Groups, where NiP, Astralis, Fnatic (with olofmeister finally returning) and Na`Vi qualified. Because of the move that saw the Brazilians swap from LG to SK, they were disqualified, alongside the former Danish side in SK. The rest of the news from that story was revealed in July. ECS finished the month off and took place at the SSE Arena in London. This was a fairly exciting tournament, with G2 and LG once again in the same group. This time, the Brazilians took the lead. The other group featured some shocks; TSM beat out Astralis and Cloud9 to qualify for the play-offs. G2 then, in a repeat of the ESL Pro League finals the month earlier, beat Fnatic in the semi-finals. LG also took out TSM, if not for the second map being a close one. A best-of-three was on the cards for the final, with G2 taking it quickly, taking the first map fairly convincingly before bodying the Brazilians in the second map. This would set them up nicely for the Major coming up around the corner – ESL One Cologne. The month ended with Luminosity Gaming claiming the title of the Number One team in the world. In just six months we’ve seen arguably the best CS:GO team for a while, Fnatic, fall from grace to be replaced by a power struggle between Na`Vi and LG (soon to be SK Gaming), which was then left to the Brazilians to take a hold of – not before being beaten by the French G2 team. The tournament circuit has been as competitive as ever, as well as the most crowded it’s ever been. The Major is set-up to be an event with many stories to tell. Just which stories they’ll be is another question entirely. 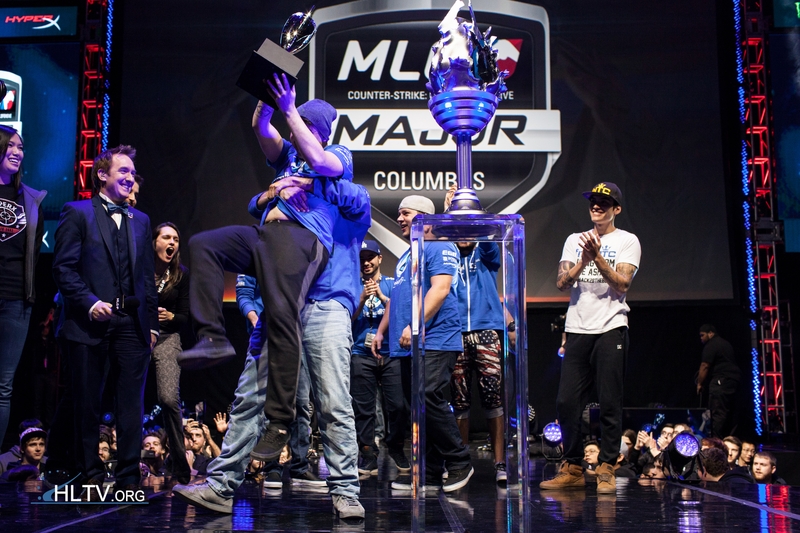 Featured image is of Luminosity Gaming lifting the MLG Columbus CS:GO Major Title, from HLTV.org.